This page has been designed as a quick reference guide on some of the most frequently asked questions regarding vehicle manufacturer warranties and extended warranty agreements. First of all, what is a vehicle warranty? A vehicle warranty provides protection against having to pay for parts and labour following the mechanical or electrical failure of components such as an engine, fuel pump or radiator which could prove very expensive to repair. It is important that you read the terms and conditions of the policy carefully so that you are clear on what it does and doesn’t cover, as not all components within a car are included. Which parts are generally not covered by a vehicle warranty? Warranty policies tend not to include consumable or “wear and tear” items such as tyres, batteries, windscreen wipers, brakes and clutches. Therefore, it is likely that you will have to pay for the replacement of these if they fail because they have worn. How long does a vehicle manufacturer’s warranty policy last for? Most brand new cars will come with a three-year warranty, but some vehicle manufacturers offer as much as five or seven, so it is worth taking the time to understand the term of the agreement. Some may also cover you up to a certain mileage limit (e.g. 60,000 miles). Most warranties will expire once you have either met the mileage limit or the timeframe, whichever comes first. For example, if you have a three-year warranty with a 60,000 mile limit, and you drive 60,000 miles in two years, you will lose the last year of the warranty as you have reached the mileage limit. Cars that are still under the initial manufacturers warranty will be covered under the New Car Code. You can find more information about this here. Is a vehicle manufacturer’s warranty still valid even if the car is sold before the end of the term? Usually, if you are buying a used car, and it is under the mileage or time limit specified by the manufacturer, then the warranty will still apply when you buy it. Therefore, when purchasing a second-hand car, it is worth checking the paperwork to see how long is left on any applicable warranties and if there are any terms and conditions that need to be met for the warranty to apply. Once the term of the vehicle manufacturer’s warranty expires, there is often the option of purchasing a new policy from the vehicle manufacturer to extend the existing agreement or buying an extended warranty from a third party or independent provider. Even if you have an extended warranty, you will still need valid car insurance to stay legal on the road. How much does an extended warranty policy cost? The cost of extended warranties varies by provider, so it is worth shopping around to make sure that it meets your requirements and budget. What is The Motor Ombudsman’s Motor Industry Code for Vehicle Warranty Products? Introduced in 2009, the Motor Industry Code of Practice for Vehicle Warranty Products aims to drive up standards across a wide range of automotive warranties, including both insured and non-insured products, by committing accredited businesses to higher standards than those required by law. These include service contracts (guarantees and extended warranties) and insurance policies such as Guaranteed Asset Protection (GAP) and alloy wheel insurance. 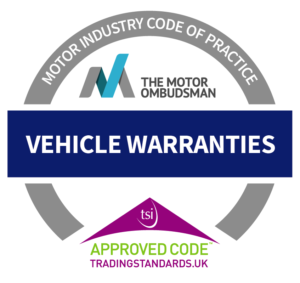 Which businesses are currently accredited to The Motor Ombudsman’s Vehicle Warranty Products Code? 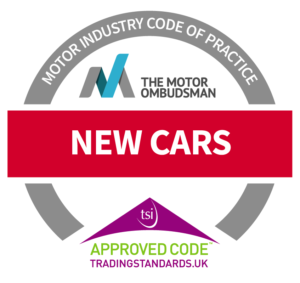 To view the businesses that are accredited to The Motor Ombudsman’s Vehicle Warranty Products Code, click here. How can a vehicle warranty policy be invalidated? Ensuring that you fulfil the requirements of a warranty policy is essential to avoid any claims being declined. Failing to follow the warranty provider’s claim procedure. What else should I be aware of when buying an extended warranty? Which components are covered and which are excluded? If the warranty provider offers different levels of cover, which is best for your needs? Will you have to make a contribution to any repair (this could be in the form of an excess or an age-related contribution), and if so, how much? Does the warranty cover failures caused by general wear and tear? Is there a waiting period? Do you have to use the warranty provider’s chosen repair network? What is the maximum labour rate covered? Can you cancel the warranty after 14 days and, if so, will you get any refund? Is the warranty transferrable if you sell the car? Does the warranty cover the costs of diagnosis, including any dismantling or exploratory work? Does the warranty cover consequential damage e.g. if a covered component fails and causes damage to a component which isn’t covered, will the warranty cover the full cost of repair or will you have to pay for the non-covered component? What types of cases is The Motor Ombudsman seeing in relation to vehicle warranty products? To view the latest case studies in relation to The Motor Ombudsman’s Vehicle Warranty Products Code, please click here. Have a problem with your vehicle manufacturer’s warranty or extended warranty? If you have a warranty-related problem, you can take a look at our Knowledge Base to see if we can answer your question. Otherwise, you can contact us here.